Baseball is back and some bettors have been tempted by the 2,000-to-1 odds offered on the Baltimore Orioles to win the World Series. At William Hill Sportsbooks in Nevada, New Jersey and West Virginia, more bets have been placed on the Orioles to win the World Series than 10 other teams, including a $500 wager Monday at 1,000-1 odds. 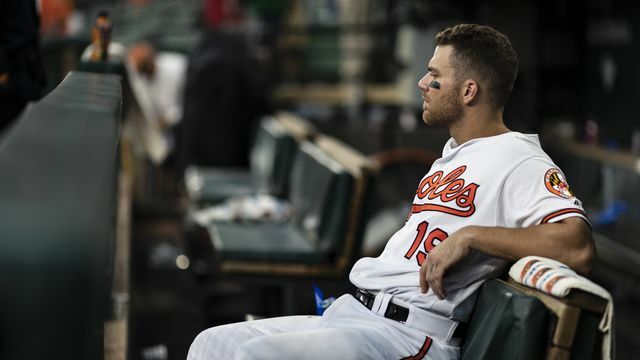 The Westgate SuperBook in Las Vegas had taken 32 bets on the Orioles to win the World Series and another $25 bet on Baltimore to have the most wins in baseball at 2,000-1. “People will always bet the super long shots,” SuperBook oddsmaker Randy Blum said. The SuperBook opened the over/under on the Orioles’ season win total at 59.5. It’s the lowest season win total that SuperBook oddsmakers have ever opened on a team, and it might not have been low enough: The number had been bet down to 58.5 as of Wednesday. Rhode Island has approved mobile sports betting. All 16 favorites won in the second round of the NCAA Tournament. Washington D.C. will have legal sports betting in time for NFL season. Missouri‘s budget issues could push forward legalized sports betting. But, as state lawmakers reconvene for the second half of the Legislature’s 100th annual session this week, the state’s money woes could put pressure on the players to find common ground. Gambling expansion has been debated under the Capitol dome for more than three years. But the tone is different this spring after a 2018 U.S. Supreme Court ruling that allowed sports betting to be offered in all states. Gambling industry analyst Steve Brubaker said lawmakers in Indiana, Iowa, Kentucky, Tennessee, South Dakota, North Dakota and Arizona have debated various proposals that would allow residents to place bets on football, baseball, basketball and other sports. Talks also are underway in Maryland, Minnesota and South Carolina, the Illinois-based analyst said. In Missouri, industry groups are trying to maximize profits and minimize potential losses if wagering is legalized. That has led to a stalemate in negotiations. Tennessee‘s sports betting bill would allow for only online wagering.